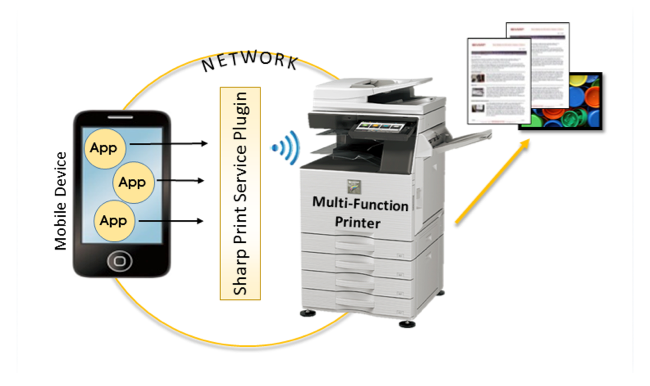 Sharp Print Service Plugin enables printing of documents and images on an Android™ mobile device to a supported Sharp MFP. 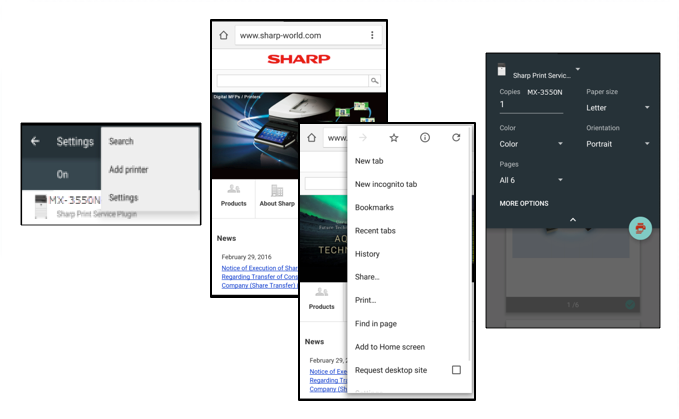 Open a document from an app that supports the Android printing framework. * MX-PK13/PostScript® 3 Expansion Kit is required to print. Android, Android Logo, Google, Google Logo, Google Play Logo are trademarks or registered trademarks of Google Inc.